The Kirkland Tap and Trotter is excited to welcome Chef Deuki Hong and writer Matt Rodbard to The Kirkland Tap & Trotter for a one-night-only event celebrating the soju-slamming, pepper-pounding, kimchi-everything adventure that is Koreatown: A Cookbook (Clarkson Potter/Publishers; on sale February 16, 2016). 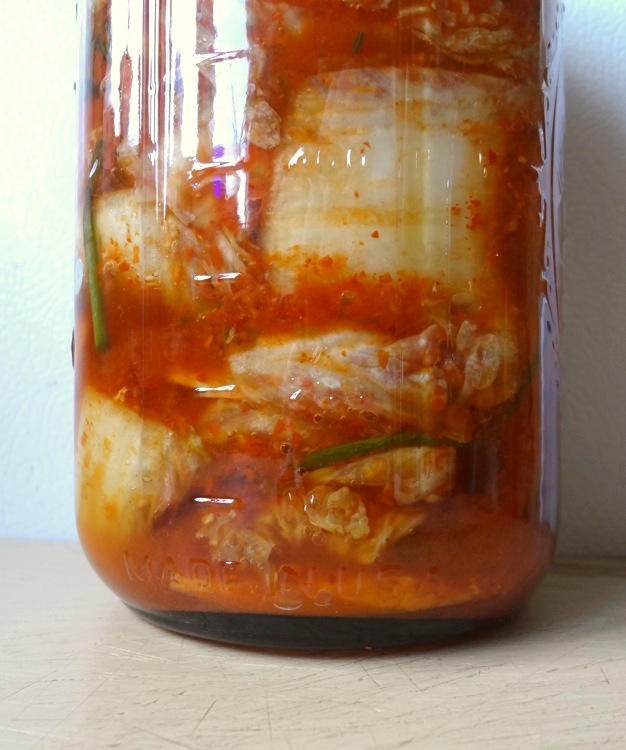 For two years, co-authors Hong and Rodbard gathered recipes, stories, in-the-moment photos, and thoughtful interviews from Korean American neighborhoods all across the country to comprise their portrait of a culture in Koreatown. With a penchant for global comfort foods, killer wood grill to complement the flavors of Korean barbeque, and convivial atmosphere, Kirkland is the ideal place to kick-off the cookbook tour. I was immediately intrigued, and did some digging around. It turned out that I had this book available to me to review. OH HAPPY DAY! This cookbook is definitely Korean American in flair. Some recipes are traditional (ie. baechu kimchi* and kongguksu*) and some are not (ie. kimchi triple-cream grilled cheese and Korean fried broccoli). But it still provides a great sample of Korean dishes. I think recipes for all the most popular dishes are here: jjampong*, jjajangmyeon*, and gamjatang*. I also love how the Korean names, hangul, and English translations are listed for every recipe. The photos are pretty gorgeous, and interviews with Korean Americans across the U.S. are a nice addition. There are definitely recipes that I want to make. The first one might be the kalbi meatballs because kalbi is always a good reason. Long story short – I feel inspired and this book has a permanent home on my bookshelf. I hope to have a follow up post in the near future, so I can let you know how a recipe went. P.S. Completely unrelated to Koreatown, I made the octo vinaigrette from Lucky Peach 101 Easy Asian Recipes book. I used it as a dipping sauce for a hot pot night with friends. If I remember correctly, I didn’t use the full amount of garlic but it was still plenty garlicy. And I got compliments.